Every year, the John S. Knight Center transforms from an empty convention hall to a sparkling, winter wonderland during the Holiday Tree Festival, which is presented by the volunteers of Akron Children’s Hospital. Community members, hospital staff, companies and volunteers donate and decorate hundreds of trees, wreaths, and other holiday decorations that are sold to benefit Akron Children’s Hospital. 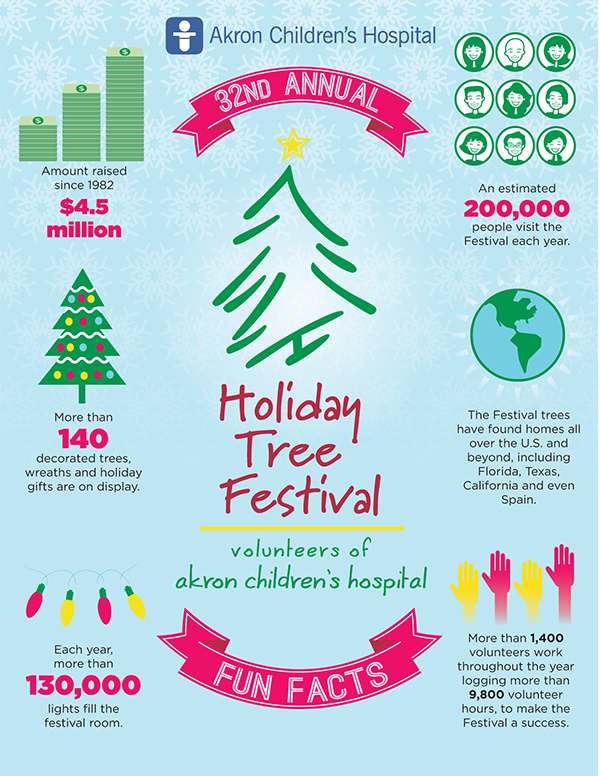 Since it began in 1982, the Holiday Tree Festival has raised more than $4.5 million for the hospital. 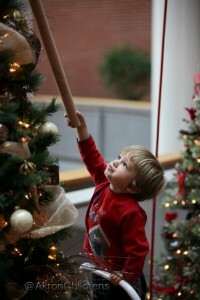 The 32nd annual Holiday Tree Festival will take place Nov.23 – Dec. 1 at the John S. Knight Center in Akron. Admission to the festival is free. Monday-Wednesday: 11 a.m. – 8 p.m. Learn more about why the Holiday Tree Festival is a family favorite year after year.